Oh my goodness, that is so sweet (and way too long)!!!! Gotta wipe away my tears now. You just made my day! Motherhood becomes you! You look radiant! She does! Anne, you're gorgeous, and so is that feisty baby of yours. Best feeling in the world! I'm so happy for both of you!!! You look beautiful! Tearing up here, too. That look on your face! Just beautiful. I'm so happy for you! So sweet and beautiful!! I'm so glad you finally got to hold your cute little man! Love! You both look so at peace. Continued prayers! Just perfect! I wish I had Go GoGadget arms that could stretch I-10 so I could hug you. Absolutely beautiful pictures. Wonderful! What a priceless moment. PS - you totally look like Emilie de Ravin (Belle on Once Upon a Time and Claire on Lost). You look beautiful, and he is just darling! What sweet mother-baby photos. Congratulations on the birth of your little son, and best wishes and prayers to all of you! Is that a tear in your eye? I have tears in my eyes. So glad you finally got to cuddle him! I'm crying. This is so beautiful. Congratulations, Anne!! Love and prayers to the whole fam!!! Beautiful #priceless So happy for you and Mark! So happy you got to snuggle him!! Stop it! How do you look that good! How does Isaac look that good? You guys are beautiful! 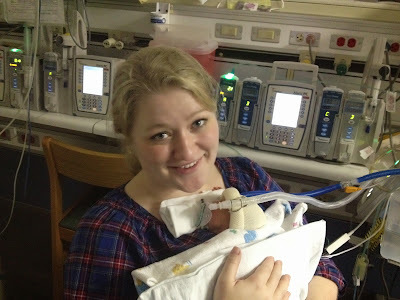 Hi Anne- I found your blog through Colleen's link to you- I'm so glad you got to hold your sweet baby! I also had a 27 weeker, he was 1lb 9 oz at birth, and today he is a healthy, happy almost 5 year old! 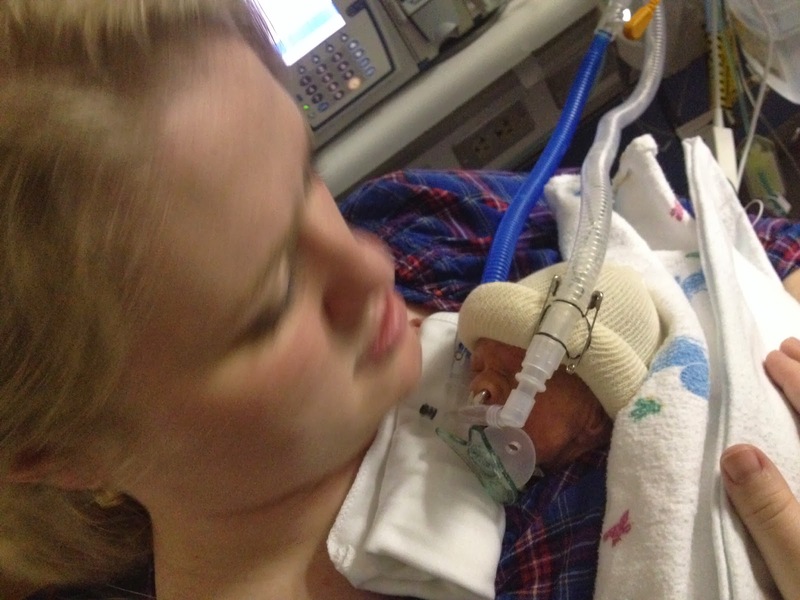 I know it is a rough time you are in right now, I will keep you and your hubby and sweet little boy in my prayers! Yay! I clicked over from Colleen's and I'm so happy for you! 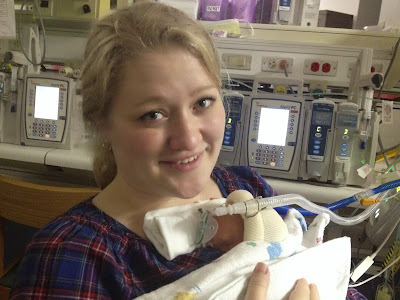 It was just a few short months ago that I was holding my little girl in a NICU for the first time after a long wait. Just like that with the ventilator and everything. I'm praying for you! Anne what a beautiful moment! True bliss indeed! Anne, you're glowing! He is beautiful like his mama. I can almost feel his warm, fuzzy, little self from that pic. (So, that's why they call it "the warm fuzzies".) Thank you for sharing this moment. Anne, after delivering my gal they had to take her for an hour just for the routine post-birth stuff and so I could get stitched, etc. It was SO HARD not being able to hold my new baby for one (measly little--but what felt like an eternity--hour). I cannot begin to imagine how hard it was for you as a mom not to be able to hold your little guy for those HUNDREDS of hours. God bless you. Hope all continues to go well (and you're holding him every day now! ).